Officially licensed Jack Daniels shot glass. 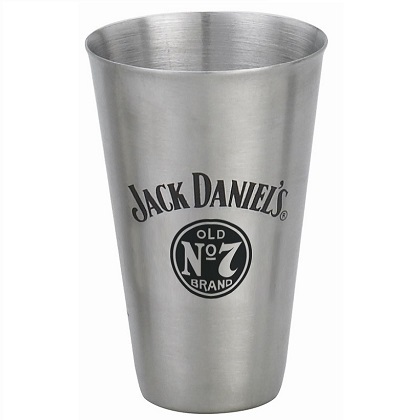 This shot glass holds 1 oz and features the "Jack Daniels Old No. 7" logo in black. Made of stainless steel.